Welcome! 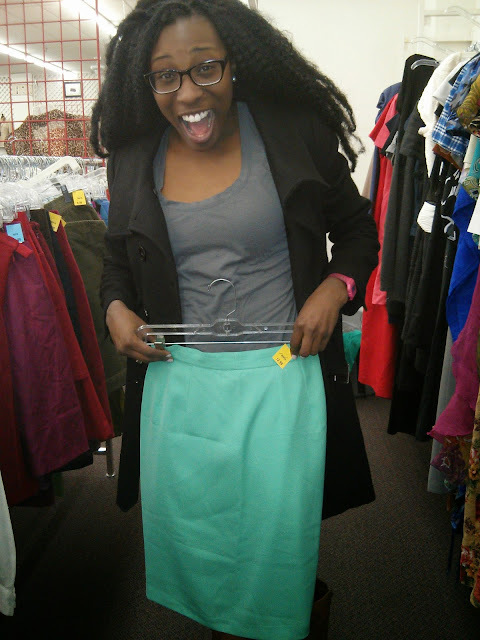 In the recent years, I've become an avid fan of thrift shopping. 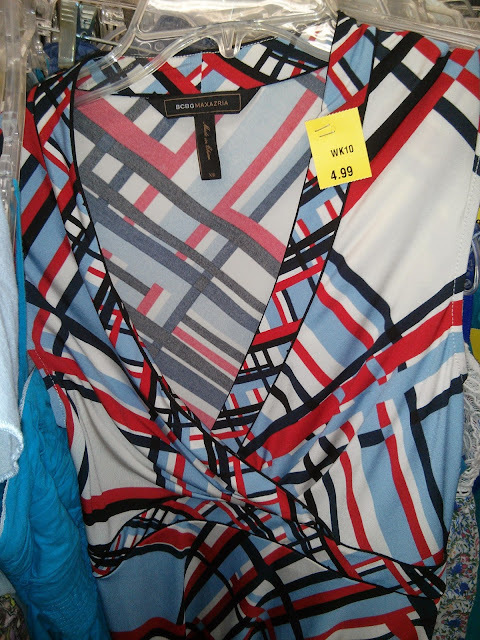 Thrift shopping, also known as "Thrifting" for me puts a whole new spin on the concept of second hand shopping. Thrifting can lead to your next pair of DIY distressed jean shorts, your next dinning table set, or your next unique outfit for a themed party with friends. I'd like to share a few of my top thrifting tips. A haul is coming soon...keep an eye out! Make a list! Similar to grocery shopping, have an idea of what you want to buy before you intend to thrift. A list will keep you focused, limit distractions, and (should) minimize shopping time. The best and worst part about thrift store shopping are the prices. Prices can be so low that it becomes easy to get carried away and spend like there's no tomorrow. 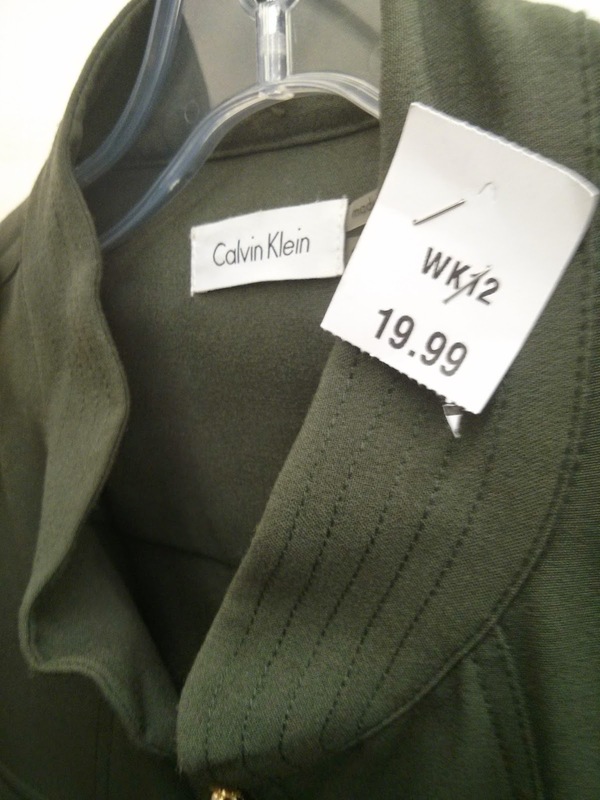 On the other hand, some thrift store prices can be high that you begin to say, "This may be Calvin Klein, but this isn't Nordstroms!". Depending on the store, cash will be preferable for two reasons: cash limits what you choose to spend, and also some stores may not have a debit/credit card payment option. Plus, makes haggling easier, which I'll get to in a minute! Have a list of what you want, but also be open minded. Without a doubt you will stumble upon items you've never thought about before, textures you never thought you'd like, colors you never thought looked good on you, but be open minded! There will be trendy brand names and brands you've never heard of. Give things a try you never know. One person's trash is another person's treasure. This to me is the most important tip. 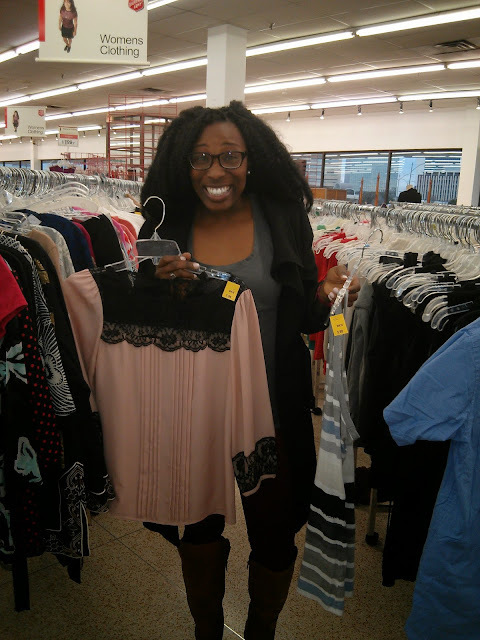 Thrifting in my opinion shouldn't set me back in my finances, it should be a fun (hopefully non-expensive) form of shopping! Ask for discount days, discounts for certain professions, etc. 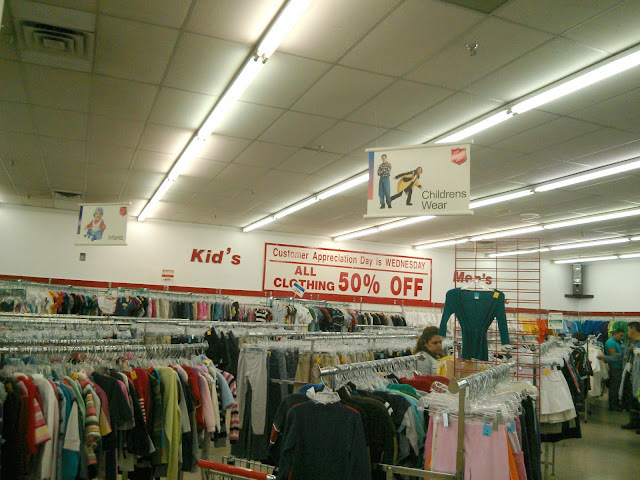 At my local Salvation Army, Wednesday is the day to go as all clothes are 50% off. Also on Saturday's there are flash sales on clothing, handbags, and other items. 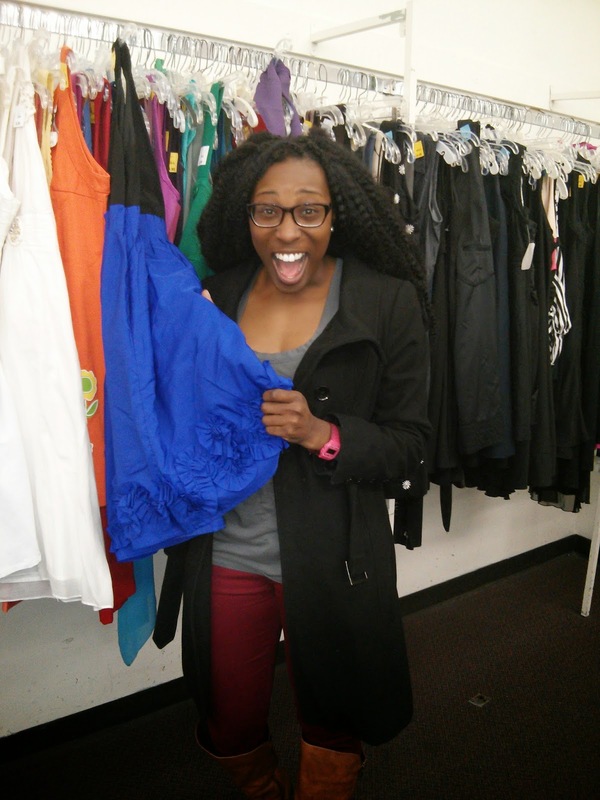 Goodwill has student and military discounts of 20% off on Tuesdays as well as Sunday Super Sale with items as low as $1.50! Networking isn't just for the office, it can be done in any sector, including the thrift store. Knowing store managers and employees is your chance to know when merchandise is put out, when inventory is cleared, and when flash sales occur. Again, this is where possibly knowing store employees is helpful. It never hurts to ask for a discount, the worst they can say is no, but it's a thrift store so you're still getting a bargain. Form fitting clothes are best when thrifting. Why? Depending on the store, there may or may not be a fitting room. 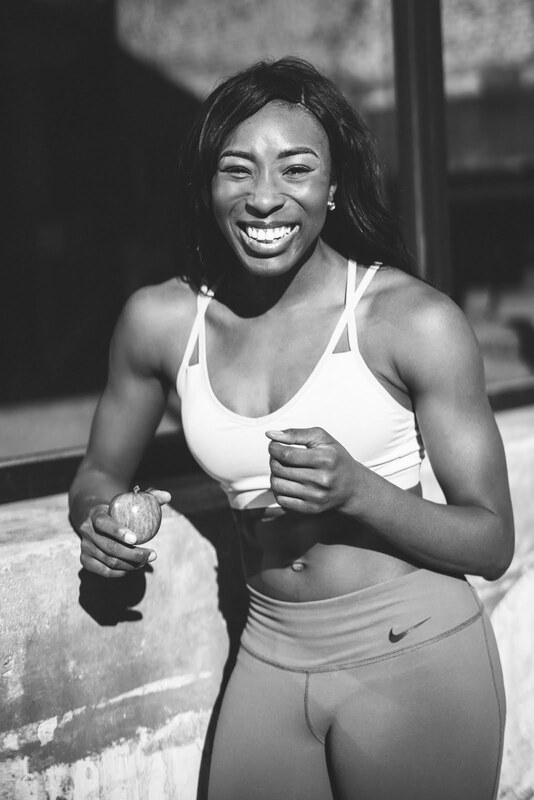 With form fitting clothes like tights and a v-neck or tank, you're able to quickly try on items on top of your clothes and get in and out of the store quickly. 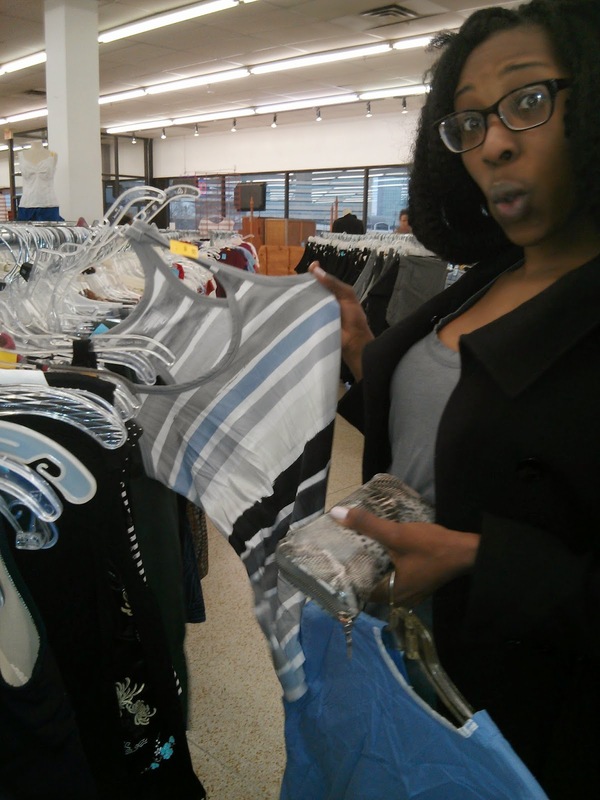 Finding hidden treasures takes time when thrifting, so give yourself sufficient time to shop. Thrifting is something you don't do in a hurry, trust me I know. Allotting enough time will increase your chances of finding what you came for, finding a proper fit, and getting the best price for it. If you give yourself enough time you could even find brand new items, complete with tags. So you have your merchandise, you're excited, you're creating outfits in your head in the checkout line. You get home and then realize there's a huge hole in the "perfect" blouse you found. Tip #10: inspect before you purchase. Don't fret. Evaluate if imperfections are repairable. Can the hole be fixed with a safety pin? Tailor alterations? Or is it beyond repair? Evaluate imperfections prior to leaving the store and decide if the item stays or goes. Those are my thrift store tips folks! I hope this inspires you the next time you go thrifting or inspires you to give thrifting a try. Oh, before I forget the last tip is to just have fun! 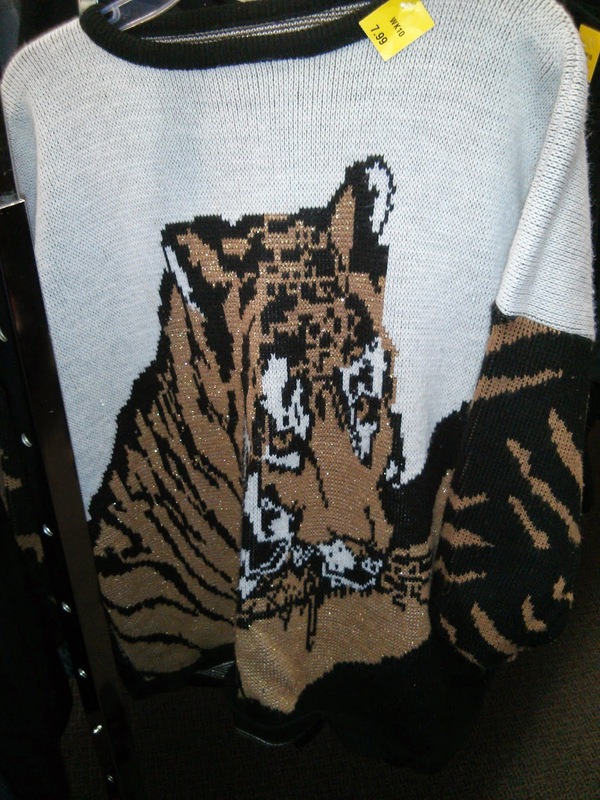 Thrifting introduces you to all kinds of items, like a few of these trendy name brands pictured below...and eccentric pieces like this tiger sweater! Happy thrifting y'all!